When would you like to stay at Sultanhan Hotel - Check Availability & Room Rates!!! Sultanhan Hotel has full-service spa and sauna, Complimentary Internet access, laundry facilities, complimentary breakfast is available multilingual staff, Televisions are equipped with satellite channels, Bathrooms offer handheld showerheads, bathrobes, hair dryers and slippers. 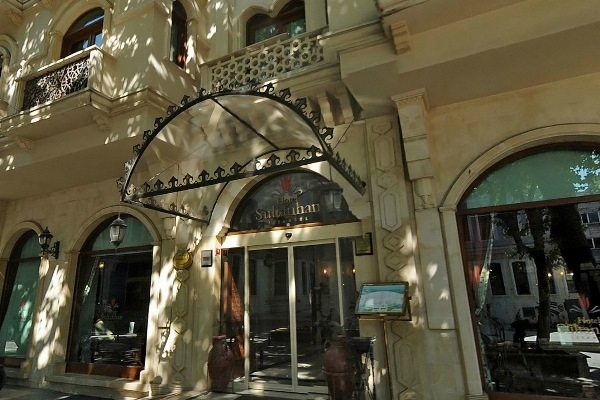 sultanhan Hotel renovation completed in January 2011 and has 40 rooms inside with additional amenities include windows that open and blackout curtains Also you may get your menu on rooftop restaurant while skimming old city. How far and How long will it take from/to the Sultanhan Hotel Istanbul from/to International Airports and cruise Ports. Is there any additional charge for my airport transfer service? How to get from Sabiha Gokcen Airport to the city? What time should I leave my hotel to catch a flight in Ataturk airport? Sultanahmet Transfer Sabiha Gokcen Airport-Lost and Found How to meet at Ataturk airport How to meet at Sabiha Airport What time should I leave my hotel to catch a flight in Sabiha airport? How to get from Ataturk airport to the city? How to get from cruise ports to the city?